Many people believe that spinach is hard to grow. The reason that most people have this problem growing spinach is because they choose the wrong season in which to plant it. The secret to a sustained spinach harvest is in understanding the nature of the green. Spinach loves cool temperatures that do not occur during the summer, therefore, this vegetable must be planted for harvest during the cool of the spring or fall months. What could be healthier for you than home grown spinach, fresh from the garden? Spinach has the most vitamins A and B2 of any common vegetable. In addition it supplies the body with a significant amounts of iron, calcium and protein. 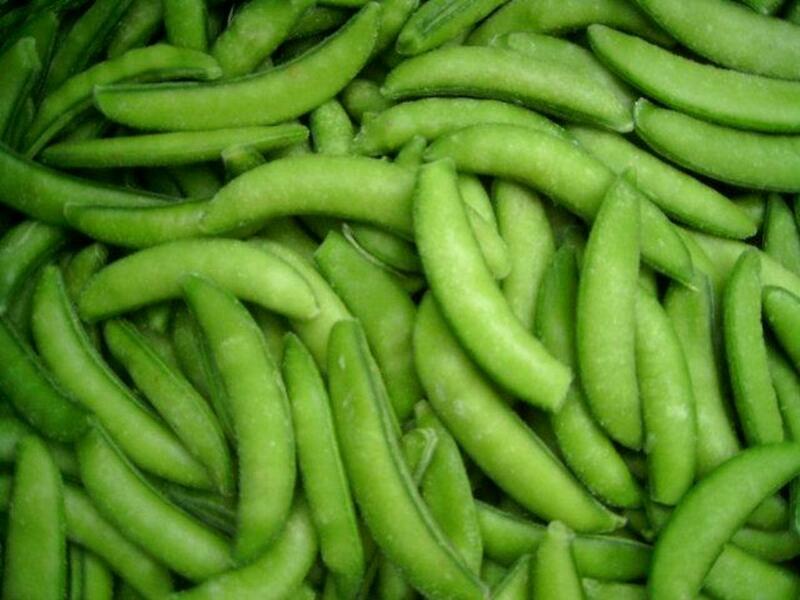 It is an excellent ingredient in salads and can be served as a cooked green. Plant in early spring, and in early autumn for a fall harvest. During the summer, plant New Zealand spinach as a spinach substitute. Make successive plantings every ten days for continuous supply. Plant spinach in soil that is full of organic material, moisture, and nitrogen. Spinach has a deep taproot, so spinach needs soil that is at least twelve inches deep so it is not a good choice for container gardening. Plant as early in the spring from seed outdoors as early as eight weeks before the last spring frost because as the days lengthen, spinach is more likely to bolt. For best results, prepare the soil in the fall so that you can drop the seeds into soil that has barely thawed. In locals where springs are long and cool, successively plant spinach every ten days until mid-May. In warmer locals, spinach does better when planted in the partial shade. Soak spinach seeds for 24 hours before planting in the garden. Plant them at a depth of one half inch deep and two inches apart in beds or in rows. spinach can also be broadcast onto the bed and raked into the soil. 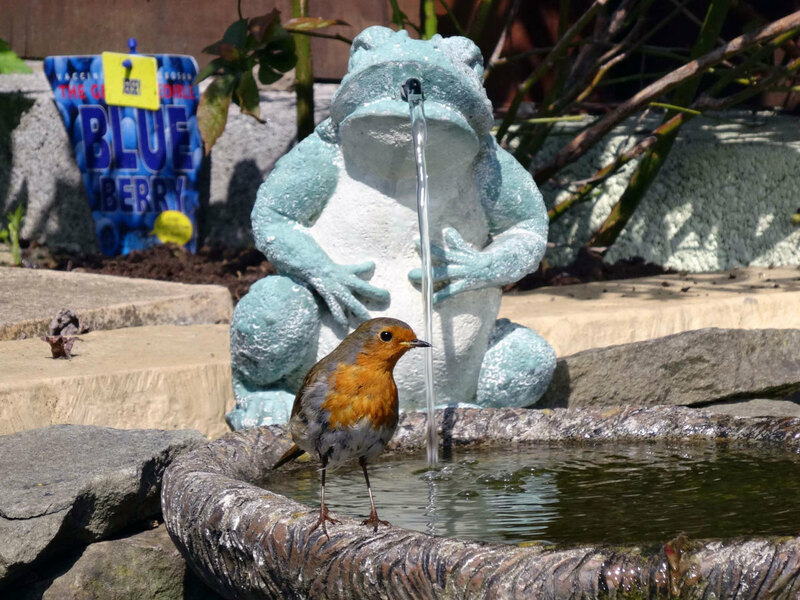 Keep well watered. If weather isn't extremely cold, spinach will germinate in 5-9 days.Thin spinach to four to six inches apart when the spinach has two true leaves. Don't let the spinach thinnings go to waste, but use them in salads. Once spinach is thinned, dust between plants with kelp powder Cover with a light mulch of fresh grass clippings with another light mulch of aged sawdust or straw on top of that (fresh grass that hasn't dried out yet has a high nitrogen content) and water so that spinach gets about an inch and a half of water per week either through rain or irrigation. If temperatures go above eighty- degrees Fahrenheit, cover crop with a shade cloth. 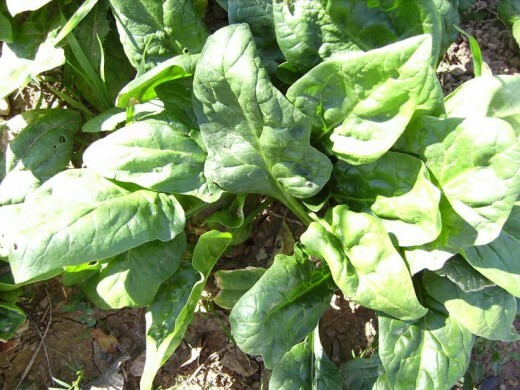 Because regular spinach usually grows during cool weather, it very seldom has insect pests. Any insect pests that do attack the spinach can often be controlled with a light dusting of wood ashes. To avoid diseases on spinach, never work in spinach plants when dew or rain is still on the leaves. In addition, as with all annual vegetables, never plant spinach in the same soil that you had it planted the previous season. Because it contains saponin, (think soap, think soil cleaning agent) this plant is good as an early crop before other crops because it cleans the soil of many disease problems associated with other plants. In addition, it does well planted between strawberry plants. Spinach can be harvested about six to eight weeks when the leaves are about three to four inches long. Cutting outer leaves of plants rather than the whole plant will extend plant productivity. If the spinach shows signs of bolting, cut entire plant. If you still want the flavor spinach, but cannot get away from only growing during the hot summer months, New Zealand spinach may be what you need to grow. Unlike regular spinach, New Zealand spinach is light green and has smooth leaves It is not actually spinach, but tastes similar and can be grown instead of spinach in warm climates. Plant New Zealand Spinach to extend "spinach" harvest into the summer months. Like regular spinach, soak seeds for 24 hours before planting. Seeds should not be planted outside until after the final spring frost or start as transplants inside three to four weeks before that date. Plant in the same manner as you do regular spinach in the same type of soil.However, when planting plants, plant New Zealand spinach plants one foot apart. Thin plants directly seeded to one foot between each plant. New Zealand spinach is drought tolerant, but for best flavor water consistently and provide plenty of plant nitrogen in the form of compost tea. Mulch to maintain moisture and control weeds. For a fall harvest, plant in late summer. Be aware that in warmer weather, spinach germination rate decreases by half. Therefore, plant seeds more thickly in the summer months or to increase germination rate, freeze seed for a few days, then dampen and refrigerate for few days longer. Sow in the partial shade of deciduous trees. In many warmer locals, spinach can also be planted in cold frames or green houses for a winter harvest. Often, no additional heat is needed for spinach in either the cold frame or the greenhouse. Even in the north, you don't have to have a greenhouse to get homegrown spinach, however.. You can grow spinach in several pots in a well-lighted kitchen window. I love spinach and only wish I could grow it so that I could eat it often. Very well done post on this topic. I am glad that this hub brought back some great memories for you Phyllis Doyle! Hi cygnetbrown. This is a great hub full of very helpful information. My gosh ! I love spinach, but cannot grow it b/c I have no yard of my own. I sure enjoyed reading your hub, though. 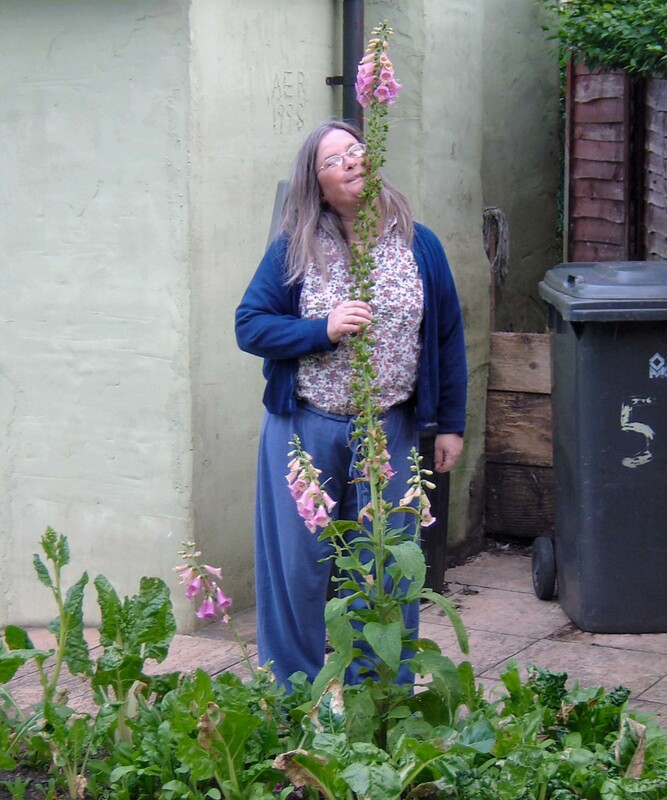 For many years I had a garden every year for vegetables and herbs and really miss that, so it is enjoyable for me to read articles like this. Well done, thank you. Hi Kate, I am so glad that I was able to help you get your spinach out! Hi Jackie Lynnley! No, spinach is not sustainable, but you might try the New Zealand spinach. You'd probably have better luck where you live! Great information here...as always. I didn't know we could plant spinach before the frost. We are hoping to get broccoli in this week...I guess we should get spinach in too! Thanks, LongTimeMother, I personally have recently learned a few things about cooking spinach that makes it much more flavorful. A touch of vinegar and oil does amazing things to greens! And, of course, I love it in salad especially with strawberries, almonds and chicken.